The Collector/The artist in her Museum, 2005. Ann. E. Visits Emily, 2006. My latest series, Cultural Mediations, draws upon a number of religions and beliefs, in particular Buddhism. In addition, I look back even more deeply into my family history as a way to better understand these spiritual issues. 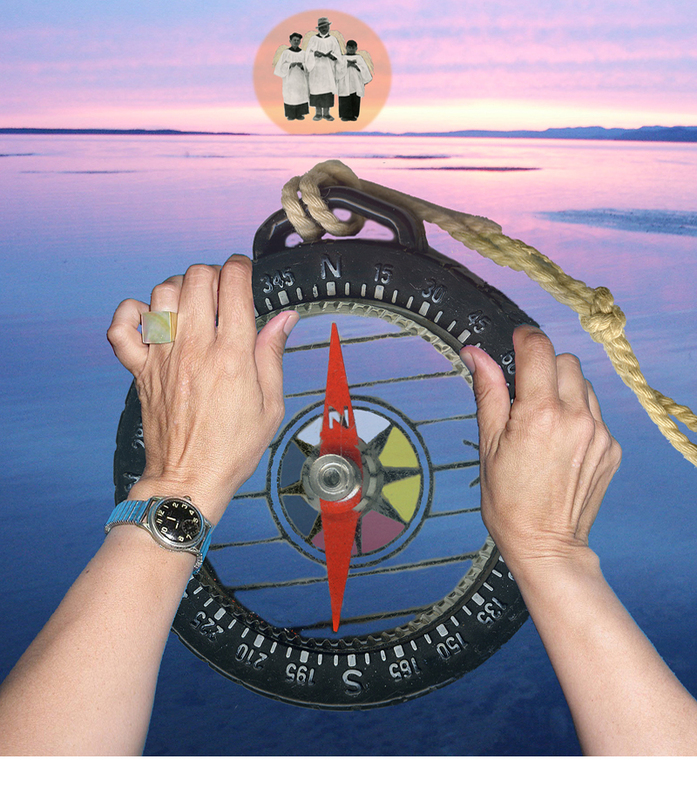 “Passages” (2005) is a quiet piece and depicts the landscape of my Métis homeland. The abalone shell alludes to aboriginal spiritual practices and the incense sticks to Buddhist prayer rituals of remembrance. 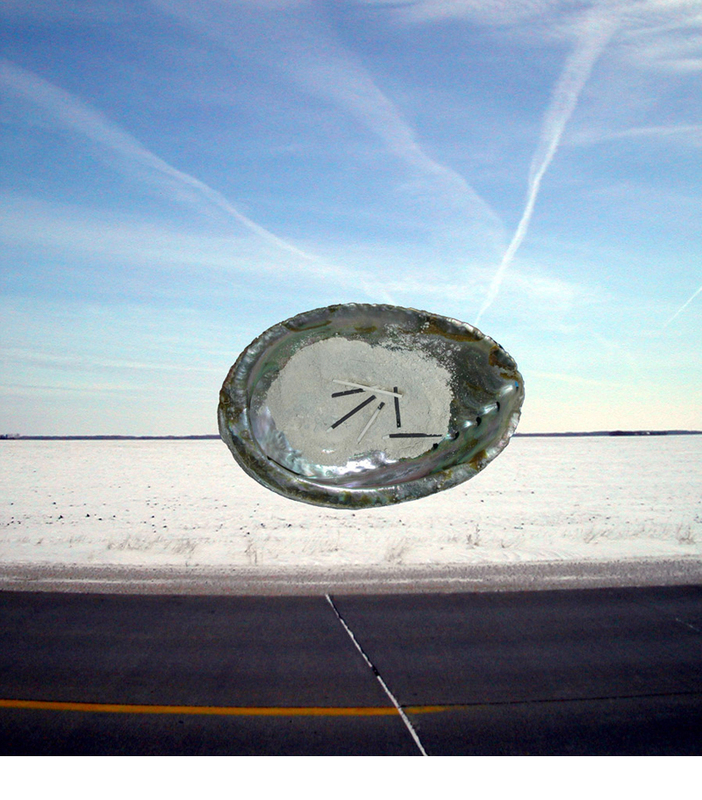 “Kindred” (2007) depicts me personified as a “lone wolf” in the “Near North” landscape of Ontario where I once lived. I then went off to India looking for spiritual practices other than Christianity, and found the elephant that could represent Ganesh, or “other” spirituality. 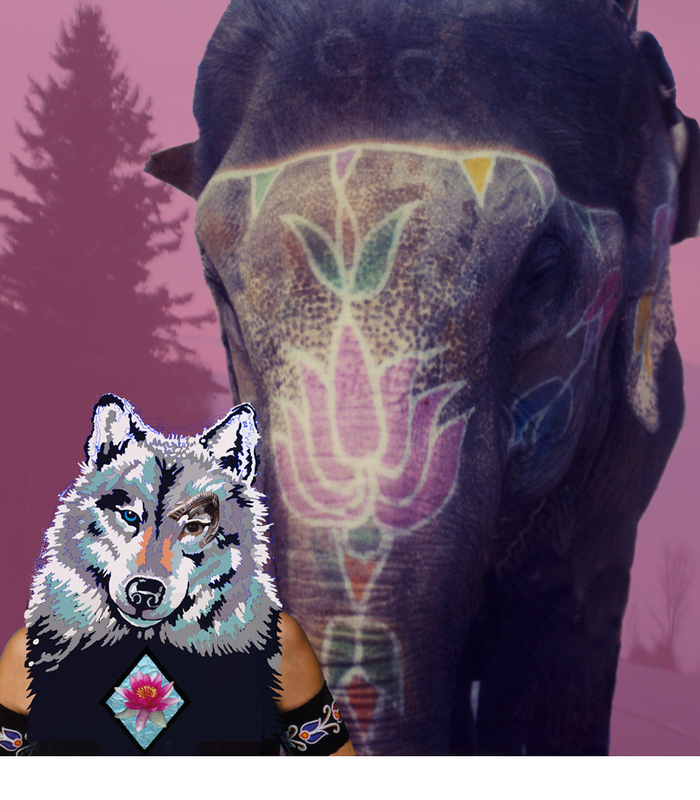 I felt that that the lone wolf and the elephant were kindred spirits. The symbol on my chest represents a merging of Buddhist and Anglican religions (the latter representing my family’s faith). 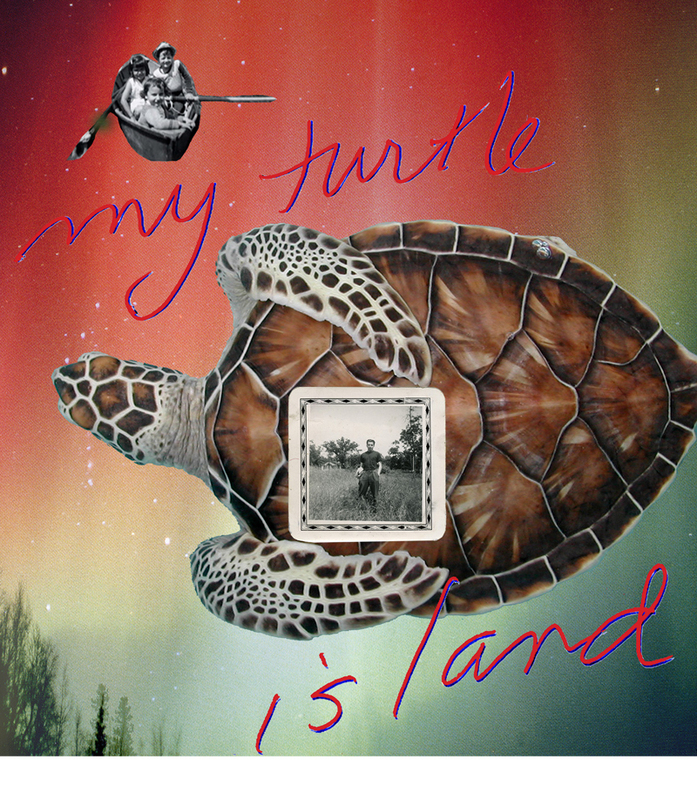 In “My Father’s Hands” (2005) and “My Turtle Island” (2005), I use aspects of both Christian and aboriginal spiritual practices and beliefs to express my mixed heritage background. These works are very much about grieving and loss. But, they are also about my realization to treasure and hold on more strongly to my familial roots and heritage. 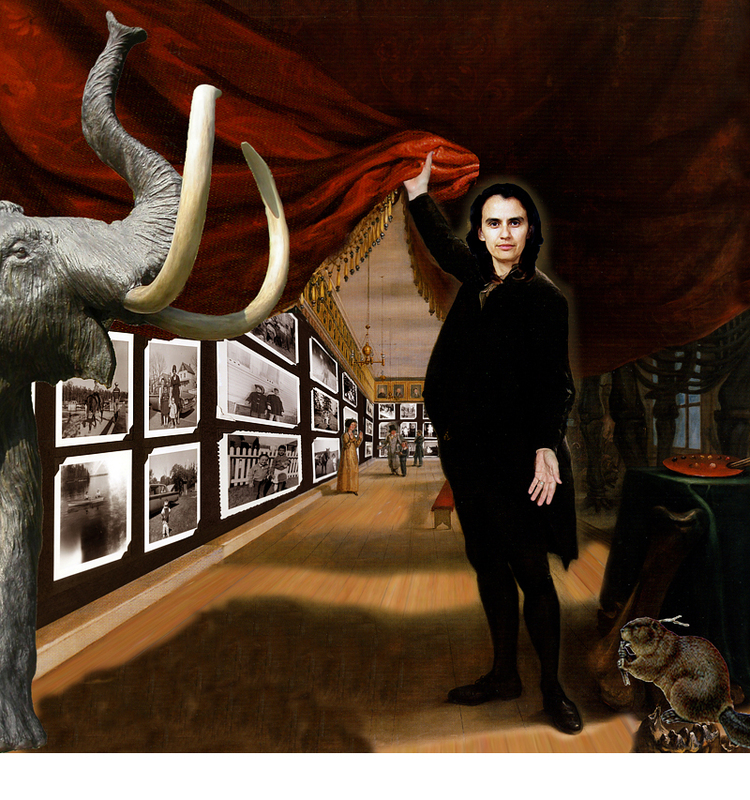 In “The Artist in her Museum” (2005), I insert myself into a painting by the American Victorian collector Charles Wilson Peale. The original painting links natural history and museum practices that included collecting aboriginal peoples and artifacts. In order to disrupt this colonial view, I insert aspects of my cultural heritage into the work. 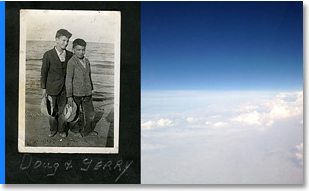 Images taken from my family album appear as a way to emphasize personal acts of collecting, such as occurs in family albums, my own family history and my search for my Métis roots. The work is also a statement about aboriginal peoples claiming the right to exhibit their own culture and history. “Curiosity Cabinet” (2008) depicts my desire to make my own curiosity cabinet after studying the history of collecting, in addition to being a collector myself. 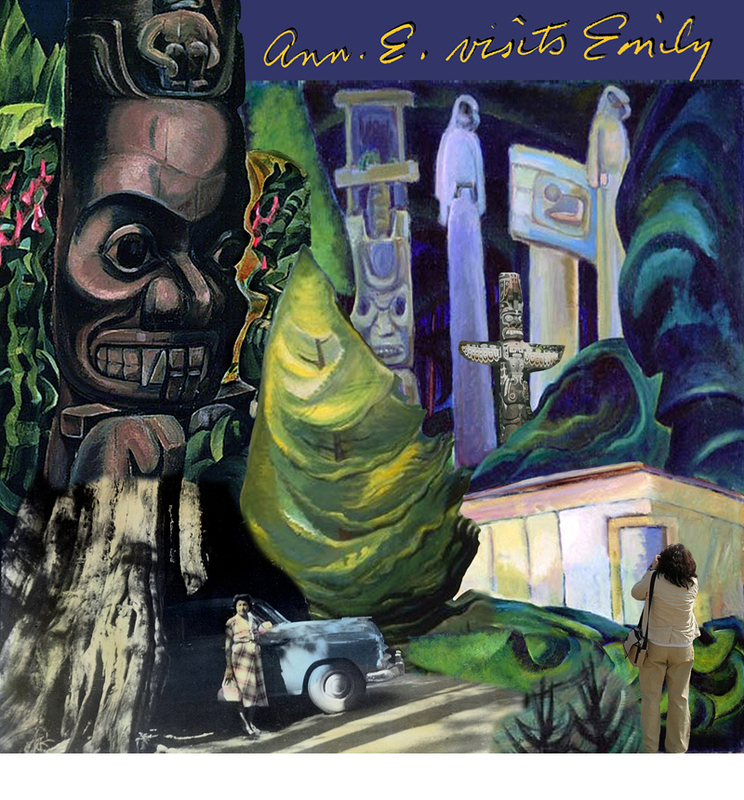 The work “Ann E. Visits Emily” (2006) depicts a number of disparate events. 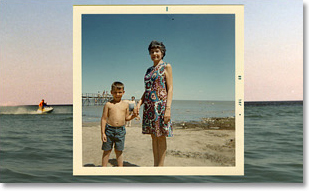 It shows part of my grandmother’s vacation photograph taken on the West Coast in the 1960s. 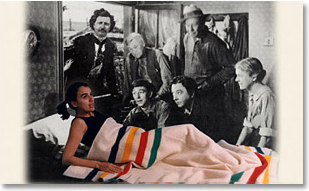 The image also expresses the impact of my first encounter with Emily Carr’s paintings, and my engagement with this cultural landscape in my role of photographer. 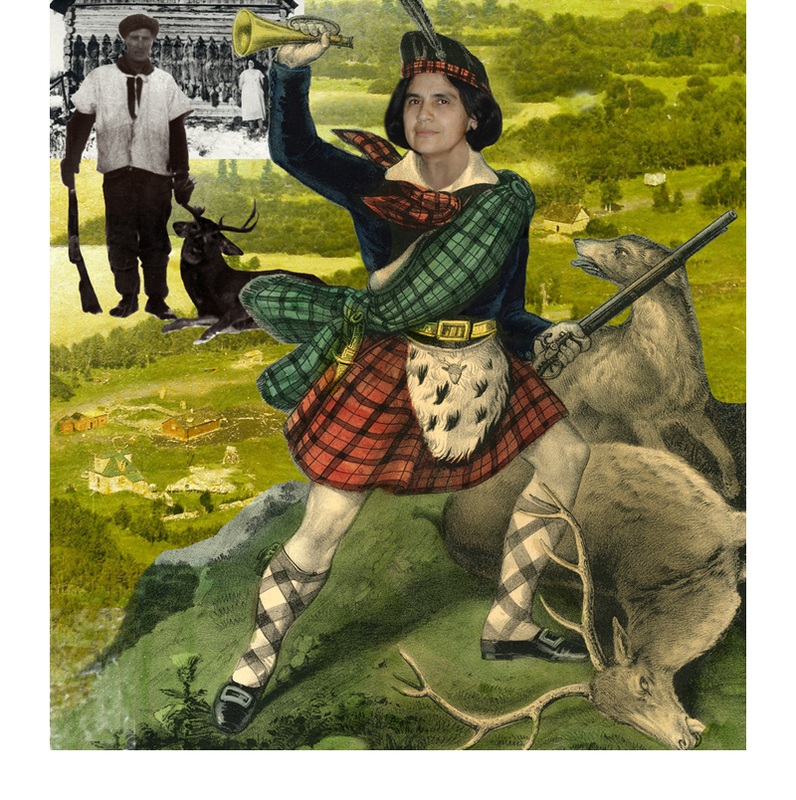 The “Highlander” (2008) is dedicated to the Scottish side of my Métis heritage. The picture is taken from a 19th century print that depicts both nature and hunting in a highly romanticized manner. In the background of my work I have placed an image of my grandfather holding a deer he has just shot. Behind him, a depiction of my grandmother appears. She is standing in front of the family farmhouse. Wolf pelts have been nailed to the side of the building. 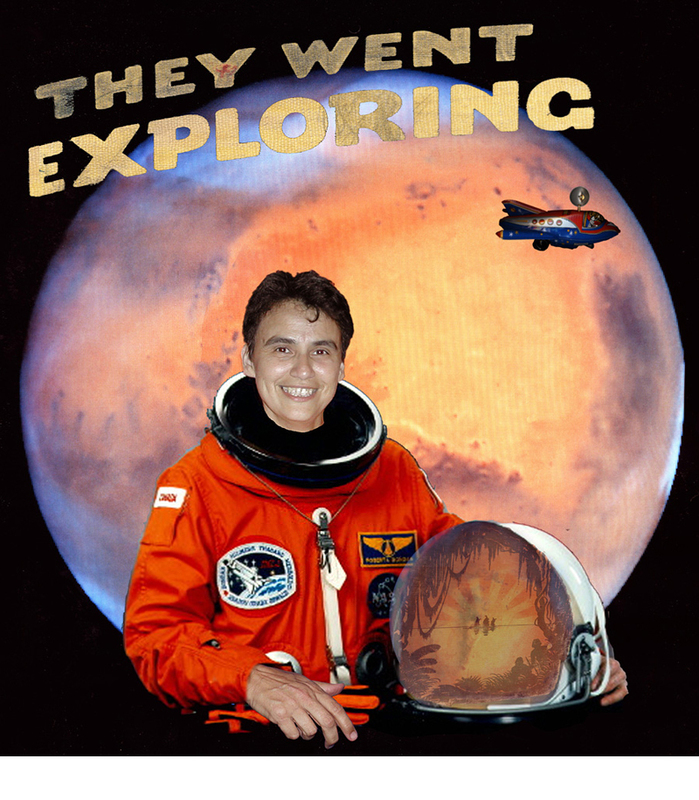 In “They Went Exploring” (2005), I depict myself as a modern explorer in the context of the Columbus “discovery.” I see aboriginal peoples as engaged in many new explorations, and entering into territories that will prove challenging to us.